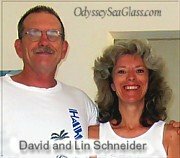 Odyssey Sea Glass Newsletter - Here Today, Gone Tomorrow? 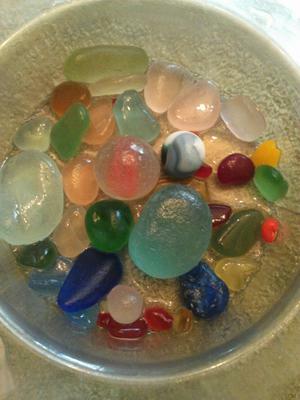 Have you ever traveled to a beach reported to have really good sea glass and then found almost nothing? If you have, then you probable felt deceived by the person making the original report. But wait. 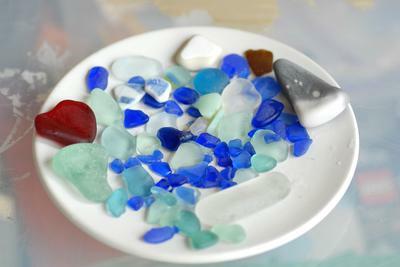 sea glass can be Here Today, Gone Tomoroow, then... read more on this subject below. 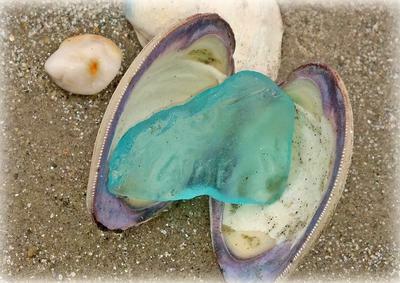 Here's what you'll find in this October 2013 edition of the Odyssey Sea Glass Newsletter. 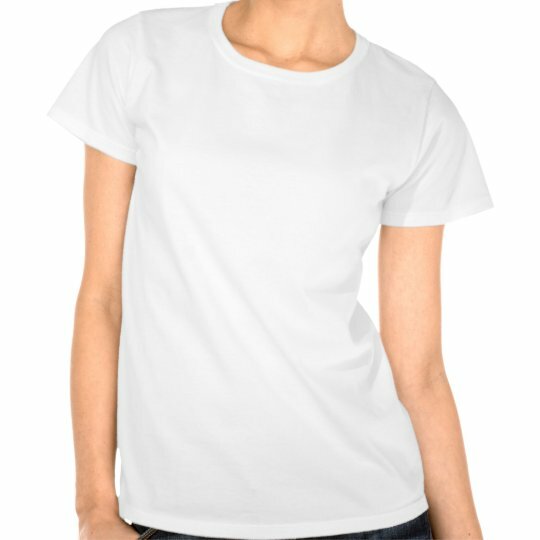 Here Today, Gone Tomorrow - or - Why Didn't I Find Any? You're not the only one who has gotten excited about a reported great beach for sea glass only to travel there and find almost nothing. Did the person who originally reported the beach deceive you? Does the beach have lots of glass or none? Who's right? Both of you could be right! 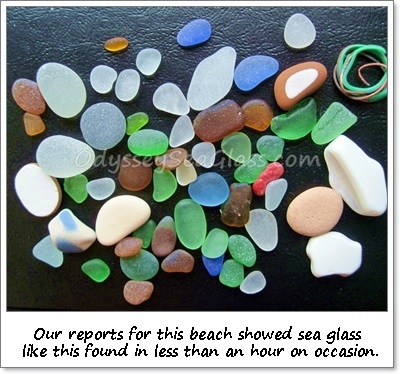 There are a number of possible reasons that there was no glass showing when you went to that beach. We'll talk about two of those reasons. 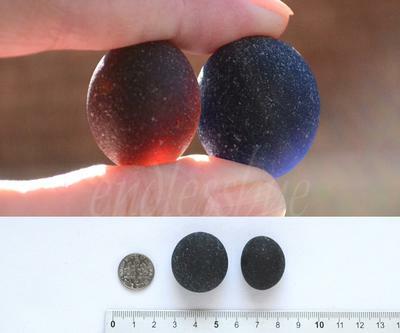 First, due to currents and wave action, a beach that is covered with pebbles with a decent amount of sea glass can, in a matter of one tide change, became a sandy desert. 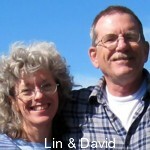 This happened to Lin and me (David) just recently. Although we've had this happen several times in the past, probably the most notable occurence of this phenomena occured here in Huanchaco, Peru the past month. 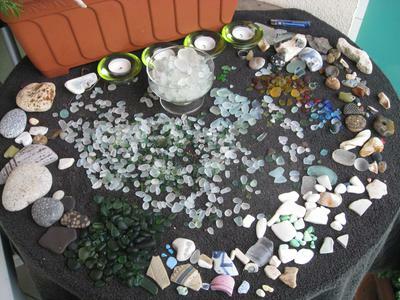 We had moved here and gotten excited over the great sea glass finds, coming home with very nice catches almost daily for the first month. Then the swell (waves) direction changed. What a disappointment. 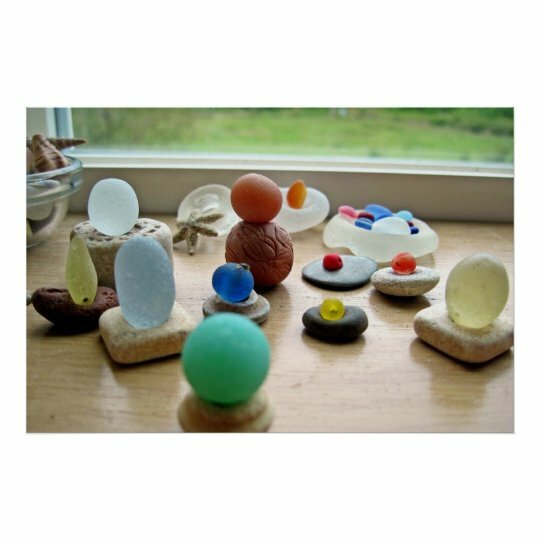 The beach was no longer scattered with pebbles and sea glass. There was sand, sand, sand. We came home each time with literally just a few pieces of unexciting glass. 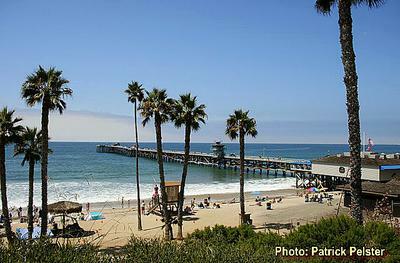 We became a little uneasy wondering if the first month had been just a fluke, and the beach really was not productive. If someone had come here to our beach during those 10 or 12 days based on our glittering reports, they surely would have been disappointed! Second, different people see different colors, and some have what I would call extremely good eyesight and eye-to-brain nerve signals. For example, Lin and Me. 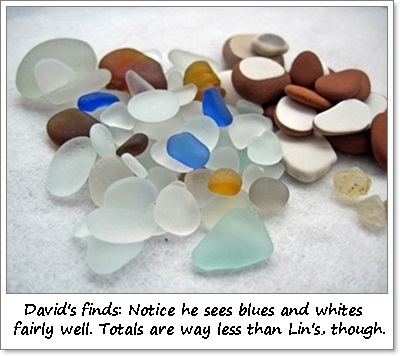 I know I've whined in the past about this, but Lin just KILLS me when it comes to finding sea glass. Especially the greens, reds, and green-blues. Now if I look directly at these colors, I can see them plainly. eyes just don't seem to register those colors; where Lin's eyes catch them out of the corner and yards away! Fortunately, now "our" beach is back to normal. 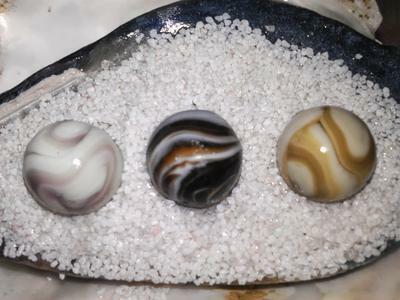 In fact, Lin found a real prize about 2 days ago, this nice shooter (big) marble! Don't jump to conclusions. 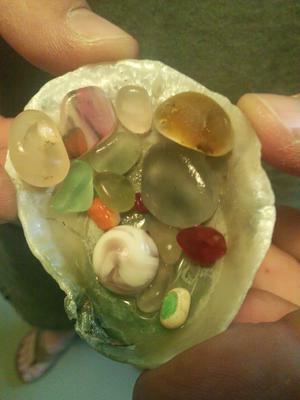 The person who got there before you and found a bunch of beach glass where you are finding none may not be all bad. 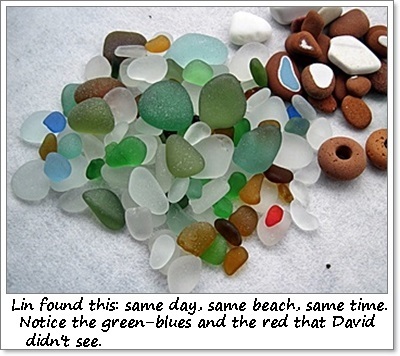 The beach could have changed drastically between visits and/or that person is just a whiz on finding sea glass. 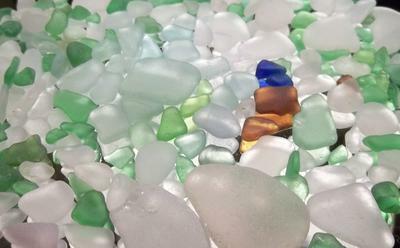 Sure, there are other factors to consider (the report may have been an outright lie, for example), but the two reasons here for a possible lack of sea glass finds can explain many of the misunderstandings. 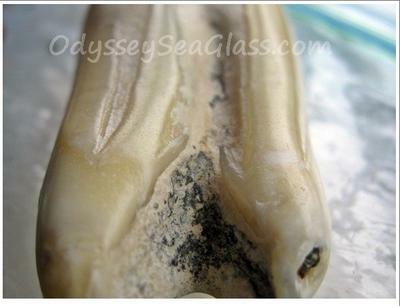 Have you missed out on the new pages and blogs at Odyssey Sea Glass? 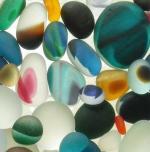 Check them out quickly and easily on our Sea Glass Blog or take a look at a selection below that you might have missed. Did You Miss These Exciting Blogs? 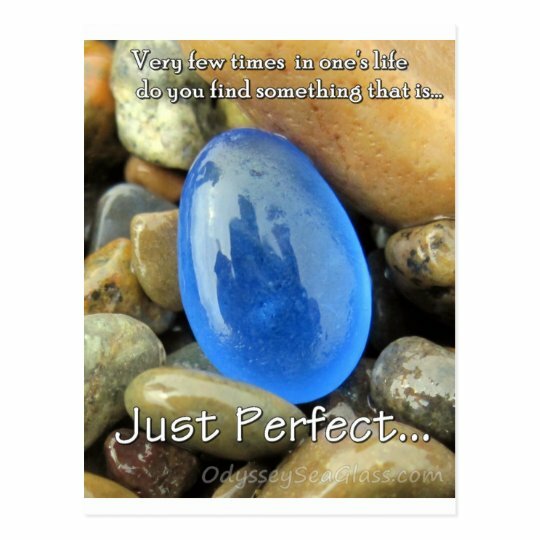 Continue reading "10/2/1013 Glass Beach Port Townsend"
Continue reading "San Clemente Pier"
Continue reading "Port Townsend, Washington, Sea Glass Jewelry"
Continue reading "Adie's Sea Glass Marbles"
Continue reading "What was this Sea Glass?" 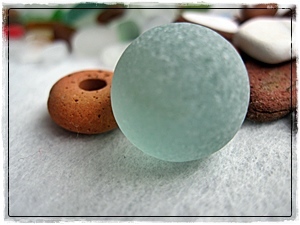 Best Clear Sea Glass Ever ??? 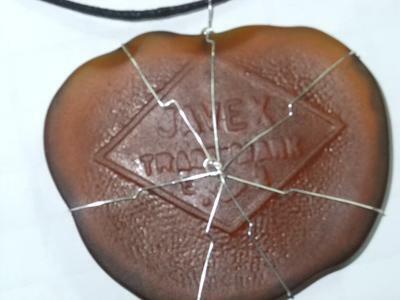 Continue reading "Best Clear Sea Glass Ever ???" 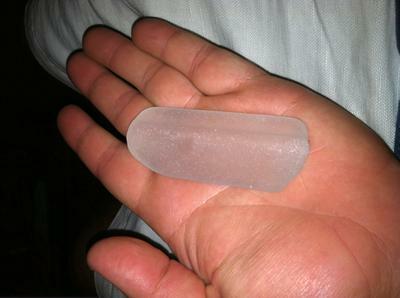 Continue reading "Oxnard Beach, Oxnard California August 2013"
Is This a Tooth or Tusk? Animal Ivory Beach Find? 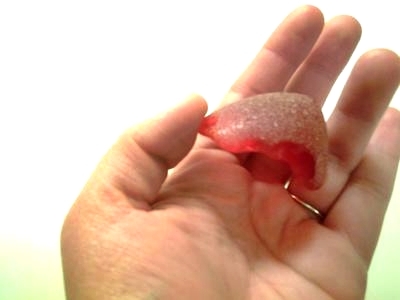 Continue reading "Is This a Tooth or Tusk? Animal Ivory Beach Find?" Continue reading "Sep 14th / 2013 Sea Glass Javex Bottle Bottom "
Continue reading "Lake Jewels - September 2013 Sea Glass Photo Contest"
Continue reading "Grandam from Ohio Finds Her Fist Beach Glass Marble"
Continue reading "Yorkshire and Seaham Sea Glass"
Continue reading "Sea Glass Photo Gallery"
Continue reading "Sea Glass by the Seashore - September 2013 Sea Glass Photo Contest"
Continue reading "Raspberry, Mocha, and Chocolate Swirl Marbles - September 2013 Sea Glass Photo Contest"
Continue reading "The Ultimate Black Sea Glass Colour - September 2013 Sea Glass Photo Contest"
Old Button found on Beach? 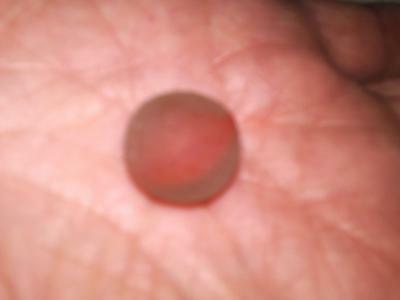 Continue reading "Old Button found on Beach?" If this information has been interesting, entertaining, and/or helpful, please remember to click the "Like" or other buttons at the top of each page to share your favorites with your friends. And by all means add your comments at the bottom of most pages.